Celebrate Black History Month with Music! Recently looked up an overview of National African American History Month on the Law Library website of the Library of Congress. I thought that I would perhaps focus this contribution on some of the astounding African American women in the arts. Not that those men and women involved in the initial struggles for equality are to be short changed this month. They certainly paved the way for the recognition of people of color in the arts – and they are many and multi talented! But I wanted to mention two women this month; namely jazz singing and performing giant Josephine Baker, and the picture book that brings her to abundant life called “Jazz Age Josephine”. 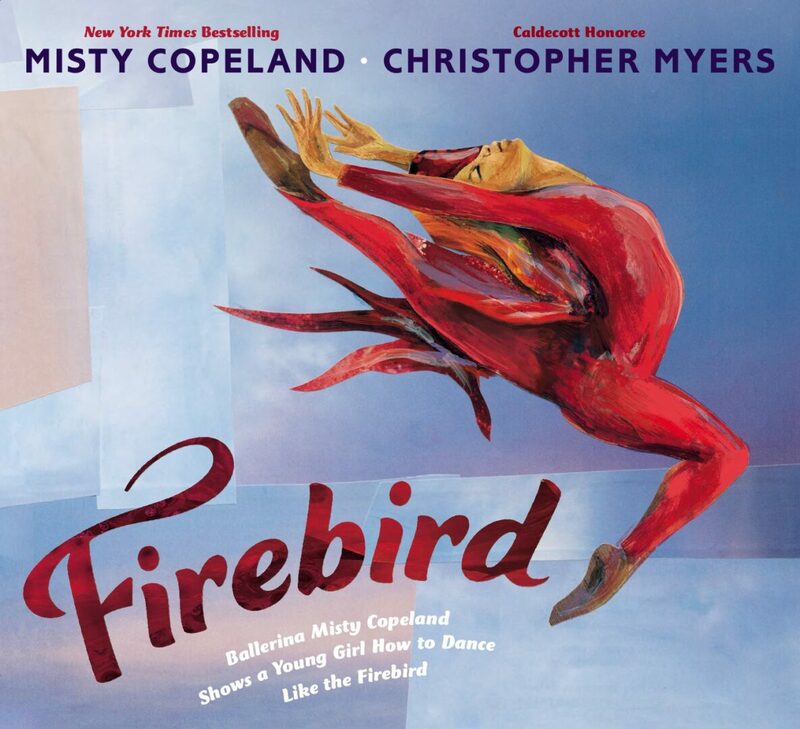 And ballerina Misty Copeland, literally flies through hard knocks in life with both talent and grace in this award winning picture book, illustrated by Christopher Myers, called “Firebird.” She is the first African American soloist at the American Ballet Theatre! And illustrator, Christopher Myers recently won the Coretta Scott King Illustrator Book” for this Penguin Young Readers title! And now to the dream of a young Miss Baker! If we stand on the shoulders of the people that came before us, that is certainly true of a young Josephine Baker growing up in wrenching poverty in St. Louis. But Josephine’s granny tells her “Someday you’re gonna be a princess.” And she had the courage to dream those words to a truth all her own. Tenacity, humor, talent and timing converge in the life of Josephine Baker to propel her to New York where she initially slept on a park bench. From the chorus line to the heights of the Jazz Age in 1925, she travels to Paris where she becomes the toast of the town. Dances like the Shimmy, Mess Around, Shake and the Charleston, make Josephine the rage when her great act includes outrageous costumes and a voice to boot. Her fairy tale life is brought to perfection with strong punched up color art as strong and resilient as Ms. Baker herself. The art is from two time Caldecott honoree, Marjorie Priceman. I didn’t know that Ms. Baker was there on the podium the day that Martin Luther King, Jr. gave his “I Have a Dream” speech! Civil rights activism was also a big part of her life. She and he both dreamed of a better life for themselves and others, and it is a testament to what is possible with a dream, a large measure of faith in the dream, and a resilience that doesn’t allow it to die. Great messages for young readers to hear that are growing up today! If Poetry Be the Language of Love, Shower Young Readers With its Rhymes This Month!